This past weekend we traveled to Florida to spend time with family. Fortunately we were in Florida for the last day of stone crab season and my uncle would not let us leave the state without sampling some. We enjoyed stone crabs with a side of home made mustard sauce and a bottle of Veuve Clicquot with Uncle Rand and then his friend Donnie joined us for some Chardonnay before we dined at Echo in downtown Palm Beach. "Since bursting onto the scene in 2000, Echo established itself as one of the hottest destinations for dining in Palm Beach. Now in its ninth season, the restaurant’s allure remains as strong as ever, thanks to revitalized design elements – from lighting to wall covering to menus - that are as fresh with personality as the cuisine. In this bold, stylish setting, diners enjoy a one-of-kind, culinary and cultural experience, as they explore the distinctive flavors of China, Thailand, Japan, and Vietnam." It is always fun to be welcomed by David Thall, General Manager, who takes great care of each customer and knows the regular customers by name, especially Rand and Donnie. Donnie and I noticed Echo had fried oysters on the menu. We had an order with our appetizers and then ordered a second round with our main meal. They were a real treat and Echo left us stuffed from sushi rolls, Asian dishes and chocolate souffle. We planned to go to a raw bar but one had closed down and the other was only serving oysters from Massachusetts! We passed on the raw ones and decided to wait for fresh oysters at home. 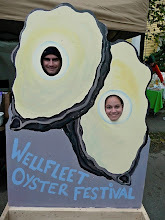 We look forward to another trip to Florida to see family and to sample raw Gulf Oysters. Anyone with recommendations for fresh oysters in the Palm Beach area, please let me know!